So, how can a car design be inspired by a bicycle with a single gear? According to Honda the connection is more of a philosophical one, “It is simple and utilitarian, but also customizable, connected and full of personality,” the Japanese Automaker said in a release. Translated into non-marketing speak, Honda is trying to reach out to the young and it does makes some sense that in essence, people got into fixed-gear and single-speed bikes because they were formerly only used by kids on BMX bikes, bike messengers, and Olympic track cyclists. 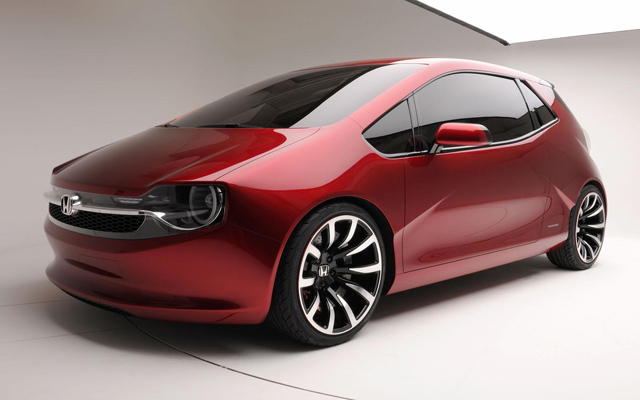 Honda is trying to recreate that in a car — the fixed-gear bicycle of cars. Feel the heat today and quickly join the fixed gear bicycle craze! Visit our website for our range of Airwalk fixed gear bicycles! 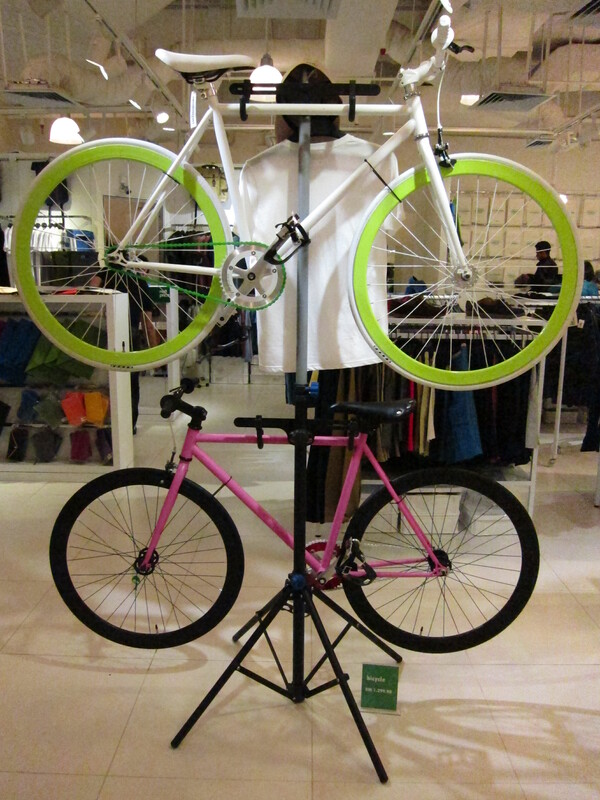 Fixed gear bike sold in a clothing store too! It’s a good holiday for employees of Pedal Craze on Chinese New Year from 10-17 Feb 2013. This year is the year of Snake and Pedal Craze will re-open it’s business tomorrow on 18 Feb 13. As the photo shows, there is a bicycle rack right in the middle of the clothing store and they are also selling fixed gear bikes. We guessed that fixed gear bicycles are really getting famous now! Cool! As communicating to another cyclist or road user can be impossible at times, hand signal will be critical! 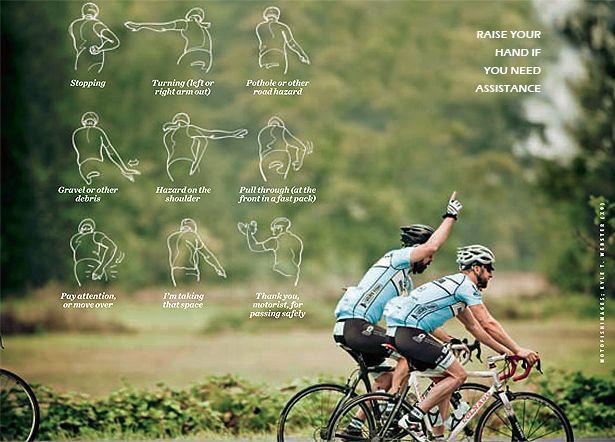 As shown on the picture, these are some of the essential hand signals that every cyclist should be aware of. Expert level fixed gear stunts, doubles on a single fixed gear bike! Please do not try it if you are not confident! Remember to put on your safety gears while learning these stunts, highly dangerous! Most importantly, get a good quality fixed gear bike so as to ensure that the bike will not fail you. Visit our website to view our range of Airwalk fixed gear bicycles! Maintain your fixed gear bicycle, keep it in good condition! Keeping your fixed gear bike in good condition is very important as it will enhance your cycling experience and the longevity of your bike. 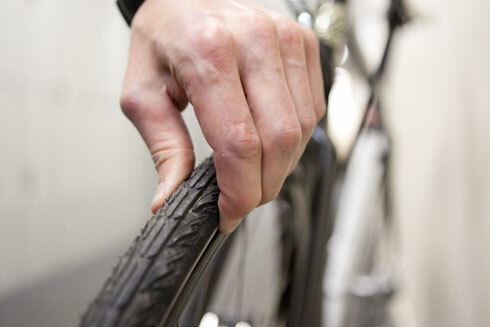 You should carry out a 3-minute check everytime you ride your bike. Maintenance checks have to be performed regularly and have your bicycle professionally serviced at regular intervals, minimum once a year, to ensure it is in the safest condition. If you discover one or more of your bicycle parts is damaged due to the stunts performed, or requires repair, do ensure that the repair is completed by a qualified bicycle mechanic. Do a few test ride to make sure it is safe to use before you play stunts or continue riding again. Regular maintenance is not only important, it ensure that your fixed gear bike is working at its top condition. Most importantly, getting a good quality fixed gear bicycle will also increase your riding confidence and ensure you are riding safe. Stay away from replicas. Do visit our website to view our range of Airwalk fixed gear bicycles. Purchase a good quality Airwalk fixed gear bike to be sure you are doing the stunts in style! Check out our website for Airwalk fixie models on sale! Finding the right bike size can be tough, especially if you are used to riding road bike frames. Fixie bikes are sized differently because their geometry resembles that of a track bike. 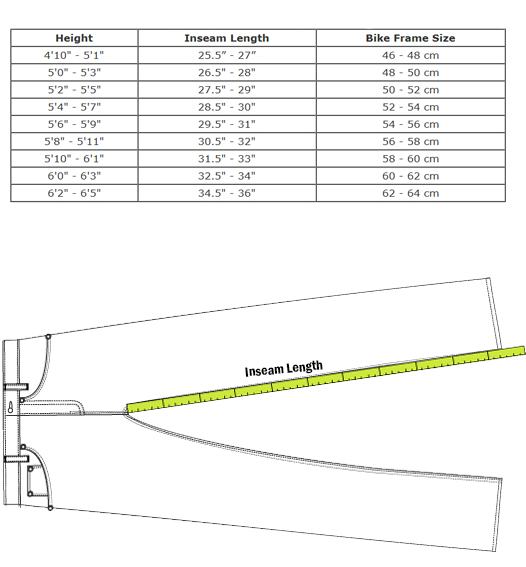 Typically, fixie bikes are sized smaller than road bikes, and each bike has its own size chart. This makes finding the right bike size pretty difficult without actually giving the bike a test ride. If you are buying a bike online and can’t test ride to find the perfect bike size, the chart above is a general rule of thumb when it comes to choosing a fixie bike size, which will help you get a good estimate. Bearing also in mind that sizing is not the same for everyone. For more information on Airwalk fixed gear bike, please visit our website.